Whether you are counting in dog years or human years, it can be hard for us to admit that our pets are aging. As your dog ages, they might become more susceptible to certain issues like cognitive dysfunction, hearing and vision issues, joint pain, allergies, and overall inflammation. Rather than rushing to fix a problem after it arises with costly prescription medications, preventative measures can be taken to prevent these issues from arising – no matter how old your pet. Changing your pet’s lifestyle can not only keep your pet healthy during their twilight years, but can add years to their lives. As your pet ages, their old routine may be causing more wear and tear on their joints than you realize. While senior dogs will still enjoy long walks, you can prevent future joint damage by taking frequent breaks during a longer walk and by varying your route so that your pet walks on softer ground. If your pet usually sleeps upstairs, moving their main sleeping area downstairs so that they don’t have to run up and down can help prevent stress on their aging joints as well. Small changes to your pets routine can help keep them feeling stable and relaxed, and can prevent the extra anxiety and stress that comes with a chaotic lifestyle. As your pet ages, they will be less likely to want to change their daily routine, so getting them in the habit of sleeping downstairs or changing their walks while they are younger can help them relax later on. Mixing my senior dog’s meal using V-Dog, eggs, potatoes, and CBD oil. As your pet ages, they lose the ability to process foods in the same way. Things that may never have caused an issue in the past – like a certain type of treat—may suddenly cause upset stomach as your dog becomes older. In the same way that you may not be able to enjoy spicy foods without getting heartburn as you age, your dog may have issues enjoying foods they once loved. In addition, a healthy, mild diet can lower your pet’s risk of diabetes, liver problems, renal failure, and neurological issues. To prevent inflammation caused by diet, transition your pet to a mild diet. This can be helpful at any age, but can be especially helpful for dogs who may be suffering allergies, inflammation, or gastrointestinal upset. My favorite mild dog food is V-Dog, to which I typically add a tasty CBD meal topper. Other mild foods dog can enjoy which can be added to food includes eggs and shredded chicken. Herbal supplements can support waste elimination, healthy kidneys, and overall wellbeing. These can often be found in the form of tinctures (which are administered orally) or in the form of pills. Known for strengthening a dog’s immune system, Siberian ginseng can also increase animals’ resistance to emotional stress. As dogs age, their ability to absorb nutrients can decline, which means they may become sleepy and less alert. However, ginseng can stimulate the appetite, help the body absorb nutrients, and can help regulate cholesterol and blood sugar. Turmeric is another of my favorite herbal supplementsfor dogs and cats alike. This natural remedy can reduce inflammation and can slow the progression of arthritis. It can also act as an antioxidant and has been proven to prevent dementia, relieve allergies, promote heart and liver function, and promote positive mental health (among other benefits). Turmeric can be added to the diet by being mixed into a dog’s food, or when combined with other natural products. In addition to using turmeric and ginseng, kelp can help prevent and treat thyroid issues in dogs. High in iron, kelp protects the adrenal and pituitary glands and can help keep the digestive system in working order as well. It is high in iron content and also is known to help the heart pump efficiently. Even more intriguing, pets who eat kelp may have a healthier skin and coat. Sonny takes CBD oil from CBD Dog Health every day to prevent anxiety attacks, stress, and inflammation. My favorite preventative measure of all, however, is using hemp CBD. 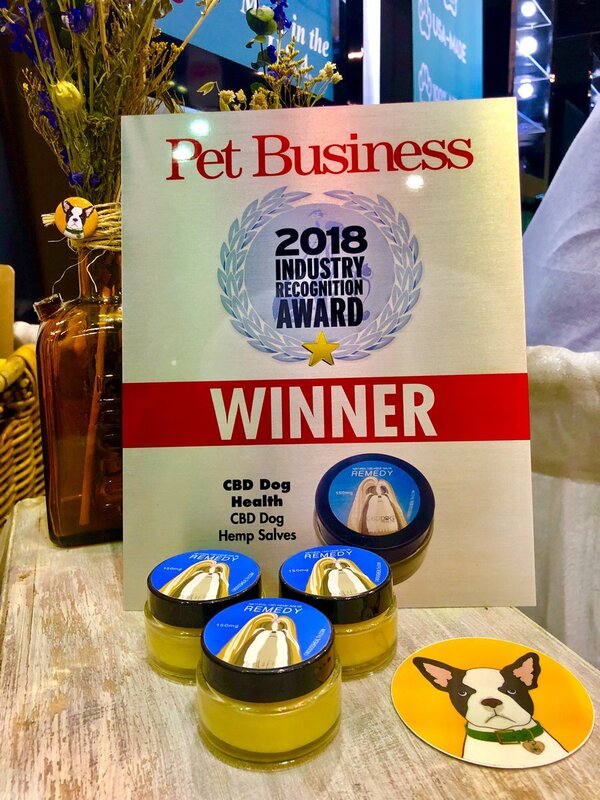 CBD extracted from the hemp plant can reduce inflammation, joint pain, and works with the receptors in a pet’s body to improve communication between cells. CBD is also proven to prevent tumors, shrink cancerous tumors, and treat allergies. Moreover, CBD is a neuroprotectant which is effective in not only treating seizures, but preventing and reducing the number of seizures in a pet with epilepsy. The benefits are seemingly endless with this natural remedy, and it can work effectively to not only treat problems after they arise, but to prevent them once they have begun. In fact, hemp seed oil has the perfect ratio of omega-3 and omega-6 fatty acids, which helps promote overall wellbeing and gives your pet a healthy skin and coat. Remember, all pets are different and may have different reactions to various supplements. Always consult with your holistic veterinarian if you have any concerns. To learn more about holistic remedies for pets, visit www.AngelaArdolino.com. You can find out more about the best CBD oil for dogs at www.cbddoghealth.com.